Origin is building a platform that enables the creation of many decentralized marketplaces, allowing buyers and sellers to connect and transact directly on the blockchain. The company is building a set of protocols, developer libraries, and a decentralized application using the Ethereum blockchain and IPFS, with an initial focus on disrupting sharing economy marketplaces. Origin's mission is to reduce or remove transaction fees, promote open and transparent commerce, redistribute value more fairly to buyers and sellers, and empower the 2 billion currently unbanked individuals around the world to participate in digital marketplaces. Matt Liu was the 3rd PM at YouTube (acquired by Google) and VP PM at Qwiki (acquired by Yahoo) and Bonobos (acquired by Walmart). He has an MS and BS from Stanford. Josh Fraser started coding at the age of 10. Prior to Origin, he co-founded three other venture-backed companies: EventVue, Torbit (acquired by Walmart Labs) & Forage. Origin is an open-source project and does all of its development and communication out in the open as well as a public engineering meeting each week. Origin has signed over 40 partners to biuld on top of its platform. Quite a strong protocol and decentralized marketplaces are valuable and have a strong future. There are some other similar protocols to be aware of which could compete with Origin. The team is strong and will follow the progress of Origin. The team members have experience in launching tech companies. The project has solid advisors from Pantera Capital, who are advising a bunch of successful ICOs. Over 30 projects have already claimed that they will use Origin protocol, and the Demo DApp is already available. However, tokens will be distributed no earlier than Q3 2018, the field is highly competitive and the decentralised competitors are modestly evaluated by the market. In order to compete with centralised competitors, the project would need to raise sufficient funds. The score will be updated once the token metrics are published (no info on hard cap yet). 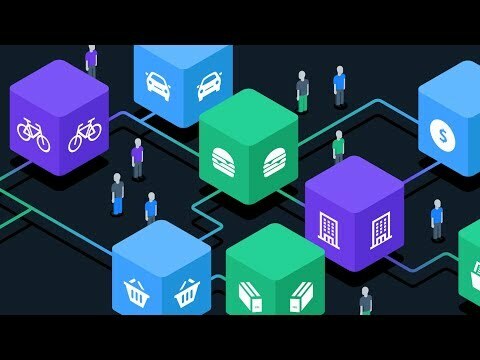 Origin Protocol aims to revolutionize and replace many existing sharing economy marketplaces such as Airbnb, Fiverr, and Uber. The team has some good experience in tech ventures, however I feel the roadmap is too vage and it remains to be seen whether the project can gain enough traction. Giving the team a higher rating than some of the other ICO experts given the team's diversity of skills and of course coming from a variety of recognizable companies. We'll have to see how they leverage their backgrounds to deliver with Origin Protocol. Their roadmap is very lacking but appears to already be a backlog of projects wishing to leverage Origin, which is reassuring of their ability to be viable even in the short term. Idea for decentralised marketplace is a nice one, team also seems to be very strong. Using blockchain in the marketplace is a revolutionary idea. The team has very good amount of experience in technology. I think there idea is not bad and they have a proper team together and the market they are tapping into is awesome as well. What has to be mentioned is that Origin has already signed partnerships with other DAPPs that is awesome. - Really Strong team with more experiences. - Decentalized Marketplace is good for future. - I hope project successful. Good luck Origin Team! Origin Protocol focuses on bringing change to the sharing economy. It provides users with an opportunity to buy and sell goods and services, without paying fees to third parties such as banks. Origin also believes that users should have full access to and control of their data. Since the 90s, innovation within the online marketplace industry has stagnated, and Origin is here to change that. Origin Protocol aims to turn the industry upside down and provide users with an improved sharing economy experience. Strong partnership network including CanYa, Bee Token, WeTrust, Storiqa, ServisHero, Propy, Blocklancer and others – We believe these companies must be building on top of the Origin Protocol or closely collaborating with them. One of the key uses of the ORIGIN token is to create incentives and disincentives. For the incentives it is mentioned in the whitepaper – “we want to encourage a vibrant developer community and will allow developers to earn ORIGIN token through multiple business models and/or developer grants. We believe the ORIGIN token will provide promising positive socio-economic incentives that spur the engagement, promotion, and development of the network.” – Some of the incentive explanations are vague and not convincing in my opinion.